If you're considering a budget holiday in Asia to hang out on the beach and shop to your heart's content without burning a hole in your pocket, there's only one place that comes to mind - Thailand! Unfortunately, with Phuket on one end of the country and Pattaya on the other, it's not always possible to make a trip to both destinations. So where should you ideally go? Resort City or Island Life? Phuket and Pattaya are located approximately 900 kilometres away from one another. While Pattaya is situated close to the capital of Bangkok and sees a great deal of foot traffic and tourists, Phuket is far more laidback. It's a beautiful beach and island destination away from the hustle and bustle of city life. Both locations have their redeeming qualities and appeal to different tastes. Many factors go into deciding which location is a better option for you, such as your budget, companions, and interests. Both Phuket and Pattaya enjoy a tropical climate. During the rainy season, Pattaya has a massive cloud cover which increases humidity that usually lasts till the end of monsoons in August. By October, temperatures are relatively cool and evenings can be chilly. Meanwhile, Phuket sees far more rainfall during the monsoons, usually in the afternoon. From November onwards, the island has its best weather with cooling winds and gorgeous summer skies. For the most part, both locations are safe for a traveller who is alert and wary. Phuket and Pattaya are pretty favourite spots for tourism, so they both have large crowds. They have their particular red-light districts that attract people from all walks of life. In Pattaya, it's advised to be cautious of 'ladyboys' (the local term for transgenders or transvestites) who aren't seen as commonly in Phuket. Chain-snatching is one of the most common crimes in Thailand, especially in Pattaya, while Phuket sees its share of scams through tuk-tuks, jet-skis and taxis. In both places, the regular rules for travellers apply such as watching your drink, avoiding empty lanes at night, and going to unknown locations with strangers. As long as you're careful while travelling to either location in Thailand, there shouldn't be any issues. Regarding cost, Pattaya is just slightly cheaper than Phuket. Travelling within the city is reasonably cheap with the options of local tuk-tuks, public buses and rental bikes, unlike Phuket where you may sometimes need to use ferries while travelling, especially if you're intrigued by the prospect of island-hopping. Also, the cost of food and drinks is relatively cheaper than Phuket. Both cities have active nightlife full of go-go bars, discos and red-light districts, but an average night out in Pattaya would cost you less than a night out in Phuket although the difference is pretty marginal. When it comes to accommodation, Phuket is a beach destination with a lot of fancies, four and five-star hotels. The best locations are usually allotted to these establishments while the cheaper stays are found further away from the ocean. In Pattaya, there are plenty of budget stays but few fancy hotels. Due to a large number of guesthouses, you can get a hotel here with a pool at an excellent location for reasonable prices. If a great beach is your primary concern, then Phuket is the place for you. It's known for its beautiful white sand and crystal-clear waters, making it a beautiful tropical getaway. It's a large island with plenty of options away from commercial activity such as Karon and Kamala that primarily are resorted areas. Laem Singh Beach, James Bond Island or Ko Phi Phi are all beautiful locations to enjoy the ocean away from crowds. Meanwhile, Pattaya's beaches have been taken over by vendors. There's sparse sand across its mostly eroded beaches where you wouldn't want to spend an afternoon. That's not to say that Pattaya doesn't have any good beaches; Naklua Beach and Jomtien Beach are still the lesser-known areas with calming waters. If you're willing to venture out for Pattaya's best beach, consider the ferry to Ko Larn Island. If you're looking for a destination that'll offer you a slice of Thai culture, then Pattaya is the best choice. You can check out the famous Sanctuary of Truth or Big Buddha Hill, then make your way to the Nong Nooch Botanical Gardens and Silverlake Vineyard. Because it's more of a beach getaway, Phuket doesn't have as many cultural activities. There are some sights to take in like the giant Buddha statue or the revered Wat Chalong temple. Even Old Phuket town offers a pleasant experience of traditional Thai life. Both Pattaya and Phuket offer fun activities to keep the whole family entertained. In Pattaya, you can rent an ATV or catch some live fights of Muay Thai. You can even test your mettle at a gun range. Aside from this, you have the option of feeding crocodiles at Million Years Stone Park or trekking on elephants. 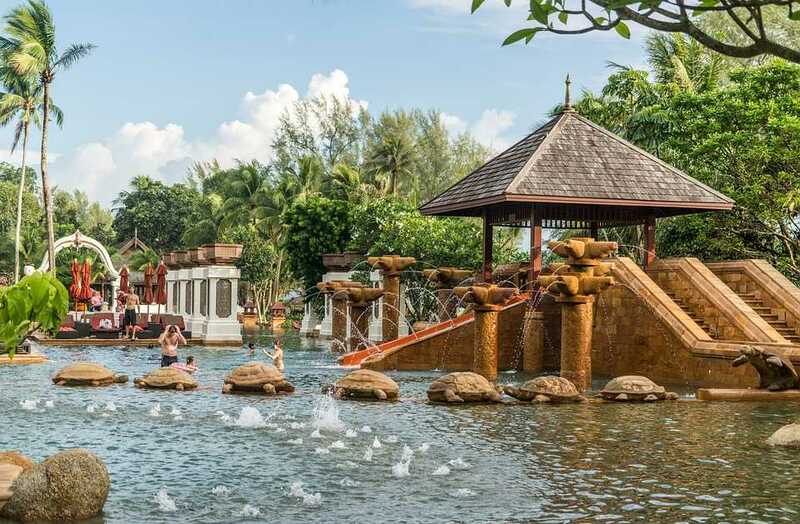 Admittedly, Phuket's activities are far more conventional such as go-karting and mini-golf. For those who are interested in watersports, you can find zorbing and canoeing at most Phuket resorts. Although Phuket has its fair share of modern shopping locations such as Jungceylong Mall, Pattaya's proximity to Bangkok provides far more shopping opportunities. From Central Festival Mall, Tukcom IT Mall and New Harbor Shopping Centre to smaller stores along the street selling souvenirs and decorations, you're spoilt for choice. If you're hoping to leave Thailand with far more things than you came with (and at reasonable rates! ), then Pattaya is where you'd love to be. Both places in Thailand are quite breath-taking in their ways, offering unique experiences that'll last a lifetime. But everyone's got their preferences when it comes to travel. As long as you take into consideration the factors that would make the trip a success for you before deciding between Phuket or Pattaya, you're sure to have an enjoyable experience!